Proponents for “updating” the Massachusetts bottle bill are surely right when they mock the distinctions the current law now draws: carbonated beverages are covered, non-carbonated are not. A container is a container, after all, whether it contains Diet Coke or Snapple. Their seemingly sensible solution — likely appearing on the ballot this fall — is to require deposits on some of these containers, too. But that begs the real question: Should we have a bottle bill at all? Three decades ago, deposits might have made sense. Today, there are other, more effective approaches. The 1983 bottle bill had its origins in the days of public service ads featuring a Native American crying over a littered landscape. 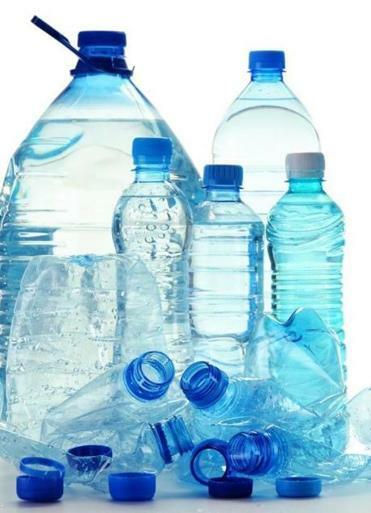 The fault supposedly lay with the beverage industry, which had recently abandoned returnable and reusable bottles. Environmentalists saw a mandatory deposit as a way of cutting trash and perhaps even forcing manufacturers to go back to the old reusables. A handful of states, including Massachusetts, latched on to the idea. As it turned out, reusable containers never made a comeback; consumers liked the convenience of the lighter, one-time-use bottles and cans far too much. But, according to advocates, the new laws did help cut roadside trash. Back then the nickel deposit (worth 12 cents in today’s money) was lure enough to persuade many not to toss their containers out car windows. It also was lure enough to persuade others to collect any containers that remained. In retrospect, it’s worth wondering whether there might have been more efficient ways to reduce trash — say, by stiffening and enforcing anti-littering laws and paying work crews directly to clean roadsides. In any event, changing mores have also accomplished a lot; random littering is far less socially acceptable. Another effect of the bottle bill was to increase the proportion of containers that were recycled. At the time, most rubbish simply went into landfills or was incinerated. Returned containers became the exception. They could be segregated, crushed, or melted down, and then re-made into something else. Over time, though, the recycling movement grew. Many communities, including Boston, now have single-stream recycling. Everything from newspapers to bottles to plastics can be placed in familiar blue bins, where it is picked up and recycled. Other communities have gone further, imposing bag fees on trash but exempting recyclables. In towns with this system (known as “pay as you throw”), recycling rates climb dramatically; communities also save significantly on their waste-disposal costs. The rise of everyday recycling means we now have two parallel systems. Consumers supposedly take back to stores bottles and cans subject to a deposit. Everything else that’s recyclable — paper, containers for non-carbonated drinks, milk cartons, wine bottles, and the like — gets put out in blue bins. Logically, we should choose one approach or the other. For example, the November referendum question irrationally exempts containers such as wine bottles, milk jugs, and drink boxes. Why not subject them to a deposit, along with everything else we use, from newspapers to plastic yogurt containers? Seem crazy? Don’t laugh. A few years ago, a couple of Boston city councilors, upset about litter around convenience and liquor stores, proposed a nickel deposit on Lottery tickets. That idea got nowhere, for reasons that would apply to any dramatic expansion of deposits: The process would prove nightmarishly complex, expensive, and hard to administer. The alternative is to abandon deposits altogether and simply expand recycling programs. Granted, that’s what the beverage industry wants, and as a result some people might reject it out of hand. But keeping two systems in place makes no sense either. Other states have come to this conclusion. Only 10 states now have bottle bills. Delaware, for instance, got rid of its bottle bill in 2010, moving to a system that puts in place near-universal recycling. (Delaware is funding its program with a 4 cent tax on containers, which gets phased out over a period of years). Of course, voters won’t see that choice or other alternatives when they read the November ballot. That’s the problem with the up-down nature of ballot questions. But voters may want to vote “no” anyway — not because they oppose recycling, but because there are ways it can be done better.